Why should you consider Canyon Vista as a drug and alcohol rehab near Phoenix, AZ, for yourself or a loved one? At Canyon Vista, we offer individuals a simple and safe environment where they can feel free to share openly with the support and understanding of their peers. Our professional staff provides an exceptional addiction treatment program to adults seeking sobriety. At our drug and alcohol rehab near Phoenix, AZ, our clients will find a full continuum of care that includes Extended Care Treatment, trauma therapy, family healing, life skills, nutritional guidance, recreational therapy and other state-of-the-art therapies such as Vibro-Acoustic Therapy. Our unique Extended Care Program teaches important life skills that are necessary to navigate early recovery. Our program is also designed to help clients begin restoring their damaged self-esteem. In addition, a beginning is made in repairing the damage caused by behavior around drug and alcohol abuse. The caring staff at Canyon Vista believes in holistic treatment; during a stay with us. You or your loved one will experience physical wellness activities, intense trauma focus, family healing work, and the development of important life skills needed for long-term sobriety. All of this will take place in our beautiful facility on our private campus. 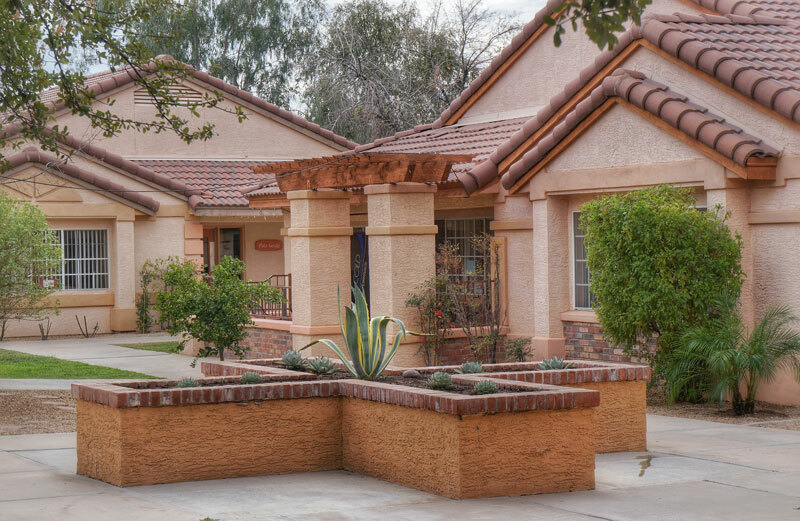 Canyon Vista’s drug and alcohol rehab near Phoenix is located in the heart of historic Mesa, AZ (a Phoenix Suburb). Our residential campus consists of seven lovely and spacious homes. When you have decided to seek professional help for a drug and/or alcohol problem, finding the right treatment center is crucial. At Canyon Vista, you will feel at home, at peace, and on the right track to lasting sobriety. For more information about how we can help you or your loved one make a new beginning, please call and speak with someone today. We can help get you started immediately. (888) 979-1840. Recovery is not only possible, but within reach.